Fashion girls know shoes can make or break an outfit. 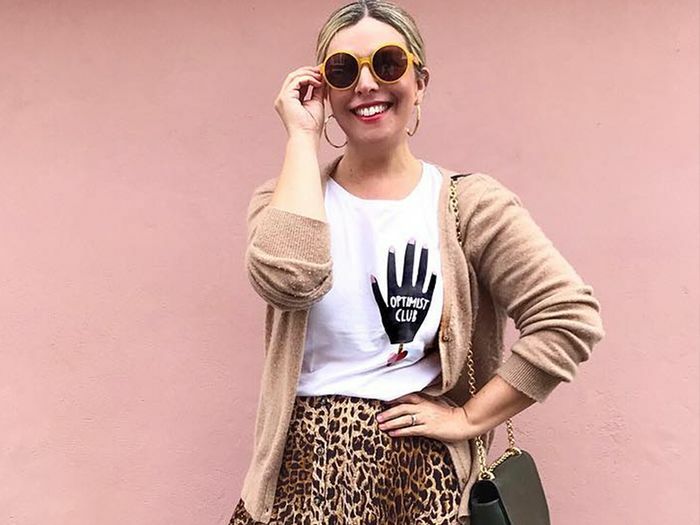 Just take a peek at any It girls' Instagram accounts or some of the latest street style shots, and you'll quickly see that standout shoes can make even the simplest look feel extra special. Which is why staying up to date on the coolest up-and-coming footwear designers is a great way to set your style apart. So, what lines are catching the eyes of fashion's It girls? Hailing from across the globe, these designers each offer a unique take on the shoes women wear, and the fashion world is taking notice. Whether you're looking for shoes that are ultra-feminine or something a little chicer, these seven lines are the ones you should be keeping an eye on. Wear your favourite pair with a simple jeans-and-tee combination or with your favourite party dress—either way they will stand out. Read on for a look at seven footwear designers every It girl is wearing right now. French accessories designer Amélie Pichard launched her namesake label in 2011. Since then, her chic, eye-catching designs have landed in the closets of fashion's coolest It girls. This year, Pichard partnered with Pamela Anderson on a line of vegan shoes and accessories. Brother Vellies is the brainchild of designer Aurora James, who founded the footwear line in 2013. The designs are made in Africa in partnership with local artisans, and have quickly become a favorite among the fashion crowd. London-based Dear Frances has quickly become a go-to for sleek, stylish boots, pumps, and mules. Using unexpected materials like wood and velvet, the line offers distinctive styles that just feel different. Dora Teymur is a Turkish shoe designer whose latest collection drew inspiration from Marie Antoinette but still managed to maintain a modern feel. While he's only 25, Teymur has captured the hearts of editors and street style stars alike. Model Mari Giudicelli debuted her footwear line to much buzz in the fashion industry. The retro-meets-modern designs are taking the fashion world by storm. Are Dad Shoes the Next Big Sneaker Obsession? If you haven't heard of Maryam Nassir Zadeh, it's a name you'll want to remember. The designer's cult label has quickly become a must among girls like French It girl Jeanne Damas. Though it may have folded its ready-to-wear line, Trademark, founded by the daughters of Tory Burch, is continuing to create cool footwear and accessories that you'll spot on New York's biggest trendsetters. Want more shoes? These are the 26 best ankle boots in the world right now.